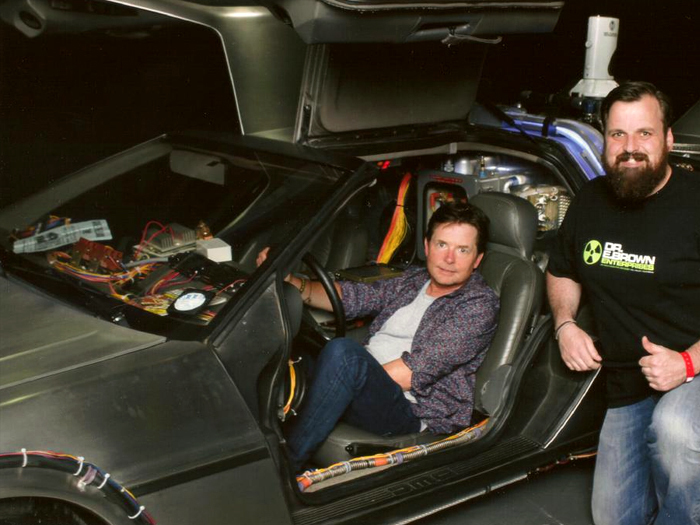 The winner of our Best Picture of the Month competition goes to Rod Hay with this very cool image, meeting Michael J Fox at the recent London Film and Comic Con. Rod wins 3 Last Exit to Nowhere T-shirts of his choice. If you’d like to enter our competition this month, send your image to us via email to info@lastexittonowhere.com – Alternatively, post your photo on Twitter including @LastEXITshirts or message us on Facebook. All images must contain a reference to Last Exit to Nowhere in some way. A white and gold coloured ink, hand screen printed on a regular fit, 100% cotton black t-shirt. 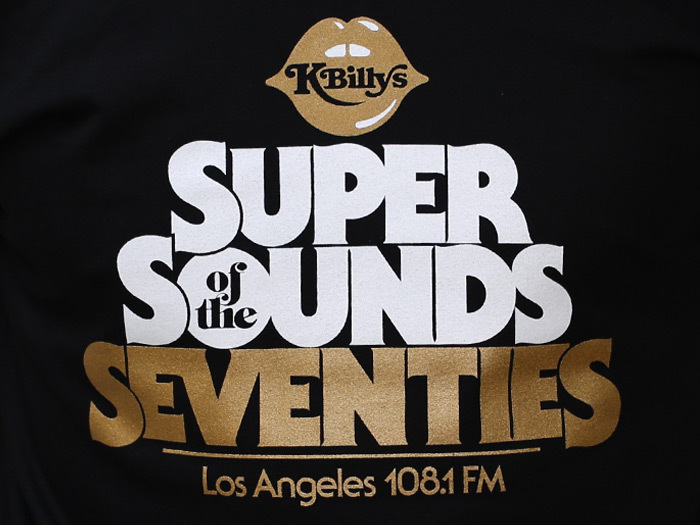 Based upon the fictional radio station that played a prominent role in the 1992 neo-noir black comedy Reservoir Dogs by Quentin Tarantino. 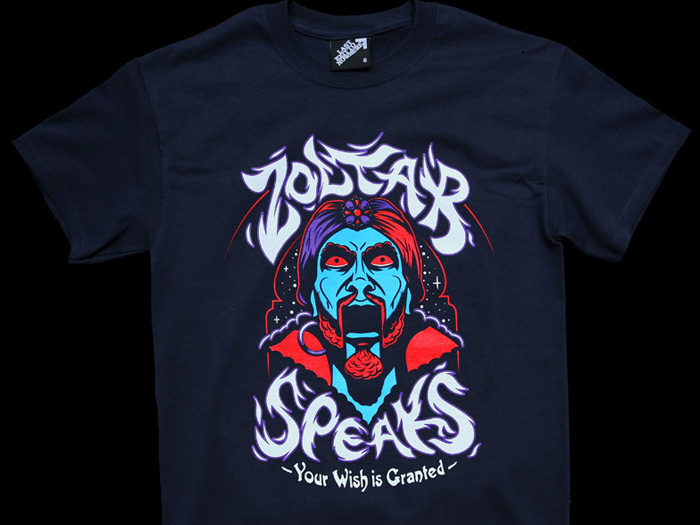 Your wish is granted… A four colour design, hand screen printed on a regular fit 100% cotton navy T-shirt. Based on the fictional antique arcade fortune teller machine featured in the 1988 film Big starring Tom Hanks. 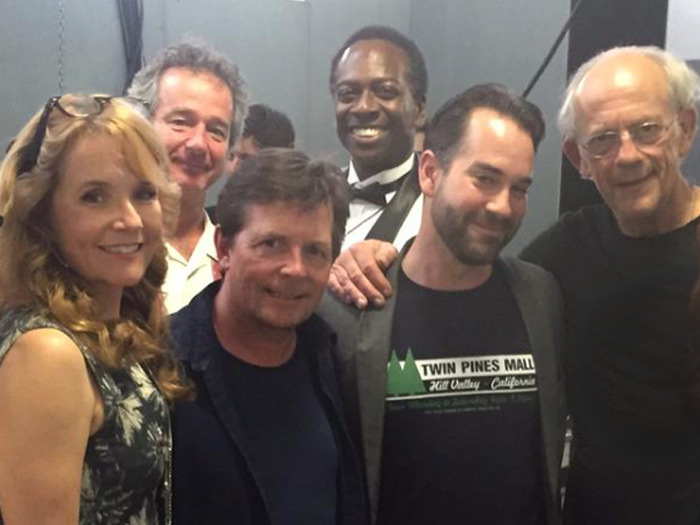 Blastr’s editor at large Aaron Sagers (in our Twin Pines Mall T-shirt) with cast members from Back to the Future at yesterday’s London Film and Comic Con. Photobombed by Marvin Berry. Based on the T-shirt worn by Peter Quill (Star Lord) in James Gunn’s 2014 film, Guardians of the Galaxy. 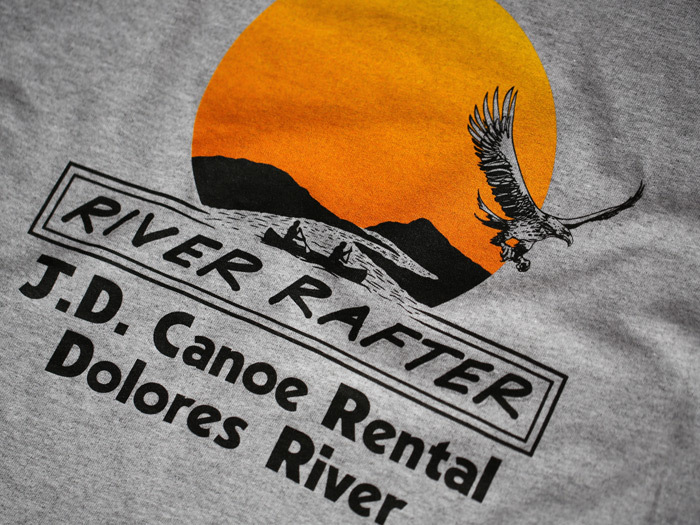 A three colour design, hand screen printed on a regular fit 100% cotton grey marl T-shirt.